Amazon surprised us today with a huge update to the Echo family! The family is getting big – whether this is overwhelming fragmentation or marketing brilliance depends who you ask, but we are excited! Echo 2nd generation – New! This is the new “default Echo”. It’s shorter and more compact than the first gen. model, with integrated DOlby sound, improved voice-recognition (even when music is playing). There’s a bunch of new finish options like “oak” (faux wood), “heather grey” and “charcoal” (fabric). The price has dropped from the Echo’s debut price of $180 to a more affordable $99. A frequent complaint about the previous Echo (and the Tap) was the lack of bass – that’s supposed to be corrected in this model, and we’re eager to hear it. Coming October 31st, 2017 (as if we needed more reasons to love Halloween). 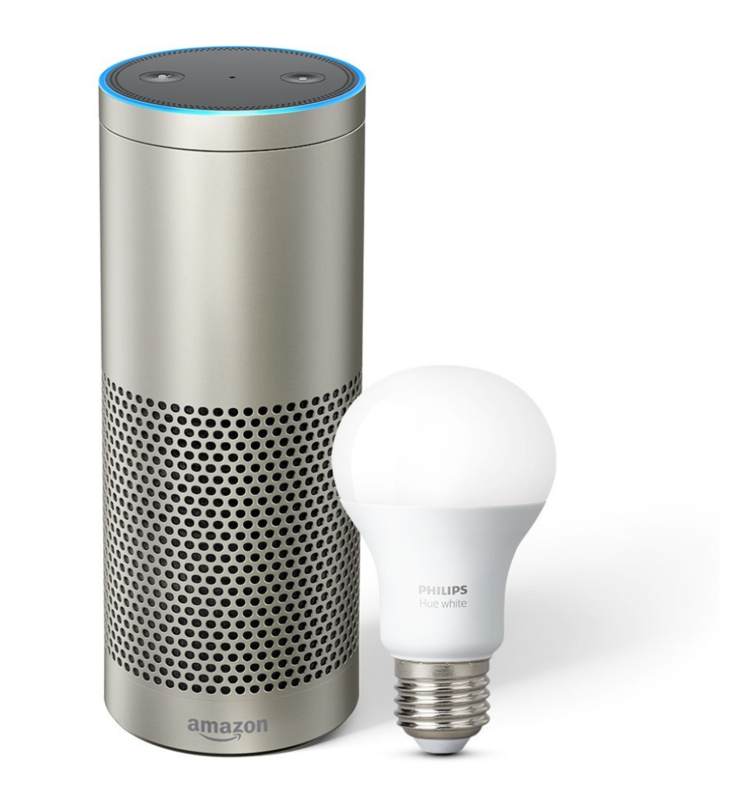 The Echo Plus is the same size as the 1st Gen. Echo, but now its got a built-in hub that takes the place of separate hubs needed to operate smart home devices like Philips Hue bulbs, GE products, and Kwikset. So if your house is already home to a bunch of hubs from SmartThings, Philips, etc., then this might be the Echo for you. Plus, there’s the same sound improvements they gave the Echo, and they throw in a Philips Hue bulb (a $50 or so value) for free! Unlike the new second-generation Echo, the Plus does not come with any cloth or wood finishes. Just black, white, and chrome. The Plus is also coming October 31st, 2017. 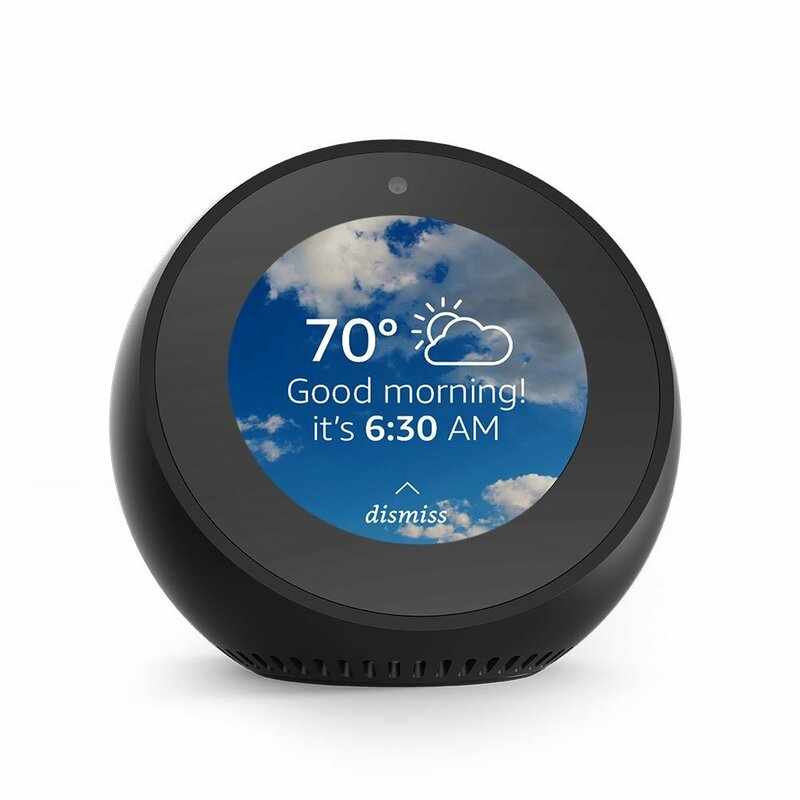 Amazon didn’t stop at just updating their Echoes – the brand new Echo Spot is like an Echo Show but compact, with a circular screen. This tiny Echo is surprisingly versatile – it can display a clock or your calendar, lyrics to the song that’s currently playing, or the live feed from one of your own security cameras. Make FaceTime-like video calls to another Echo Spot (or Echo Show or Alexa app user). The Echo spot also has a 3.5mm jack so you can hook it up to a better speaker (as if it were a Dot). The Echo Spot comes in both black and white, and its release date is December 19, 2017. 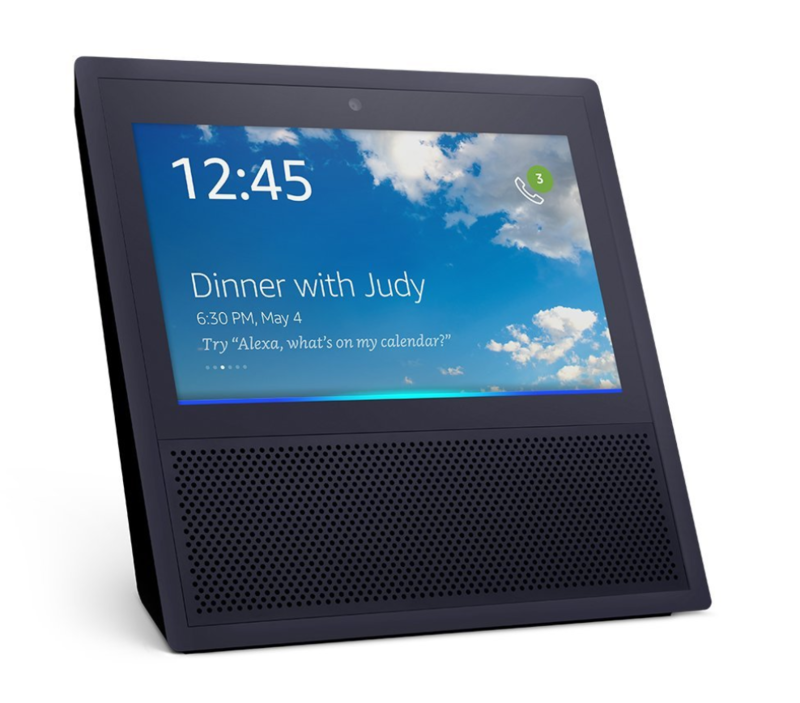 Amazon also announced the Echo Connect, a device you connect to an existing Echo device to turn it into a voice-activated speakerphone. 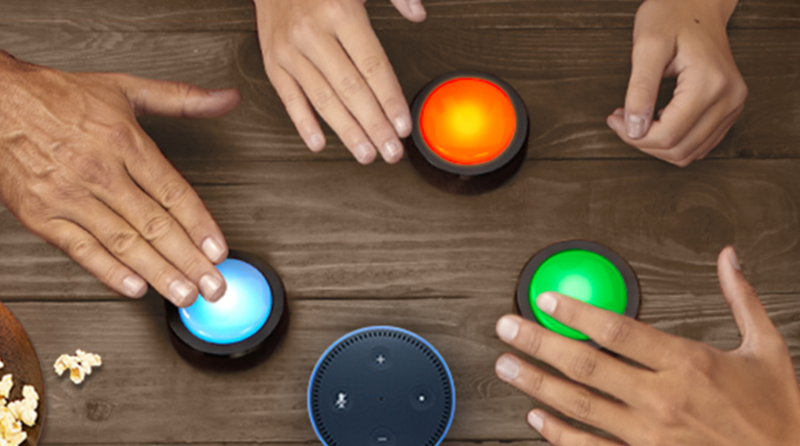 With Echo Connect and a compatible Echo device, you can ask Alexa to call anyone using your home phone service – just by asking. The expected release date is December 13, 2017. For family game night, there’s the newly-announced Echo buttons! These are for playing games with Alexa, game-show style. The release date is a vague “this holiday season” but you can sign up on Amazon.com to be notified when they’re coming. What about the old Echo models? 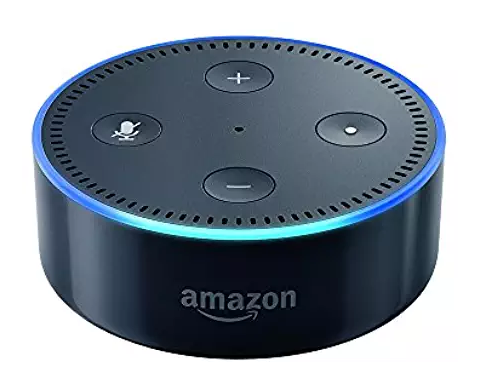 Amazon is still selling the Echo Dot, which is a relatively inexpensive way to add Alexa to room without having to buy a full-featured Echo device. We love the Dot (we own three of them) but they are almost useless for listening to music on their own, so you’ll have to run a 3.5mm cable to another speaker if you want good audio quality. Now that Amazon is beefing up their in-device speakers, we’re looking forward to dispensing with the somewhat clunky Dot-and-speaker setups soon. There’s also the Echo Show, which is basically an Echo with a generously sized screen. It’s good for hands-free video calls, viewing song lyrics, checking weather reports, watching video clips, and more. We don’t have one but the reviews are positive. 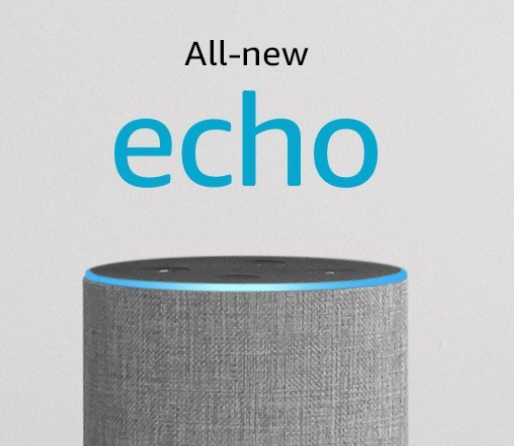 Finally, there’s the somewhat mysterious Echo Look, which is available by invite only, presumably to fashionable people (which we are not) to sell them stylish Amazon fashions. Check out The Verge’s review of the Echo Look to learn more. Whoa, why are there so many Echo models? Amazon’s strategy (for right now, anyway), seems to be to make Alexa the standard in-home assistant. No matter what you want an Echo to do, chances are, there is now an Echo that appeals to you. That gets you into Amazon’s ecosystem (and makes it harder to want to leave). But it’s a nice ecosystem to be a part of – we love controlling our home with voice commands, and we get a lot of use out of them as speakers. Is it October 31st yet? 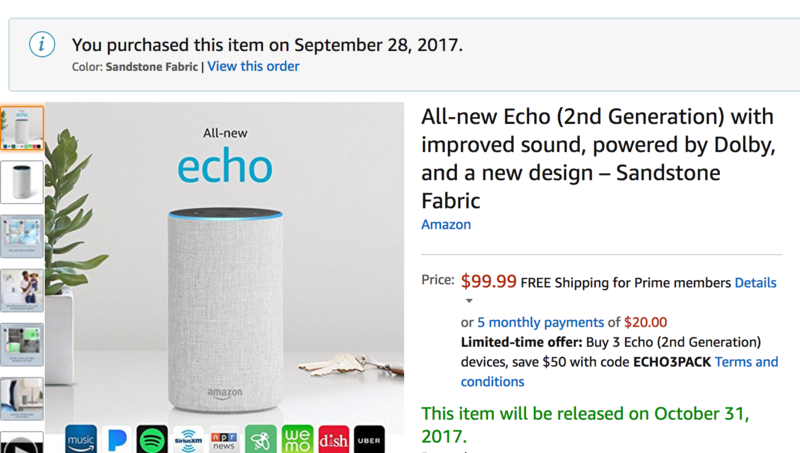 Amazon has a history of running out of Echo devices and accessories, so we pre-ordered our new Echo right away. 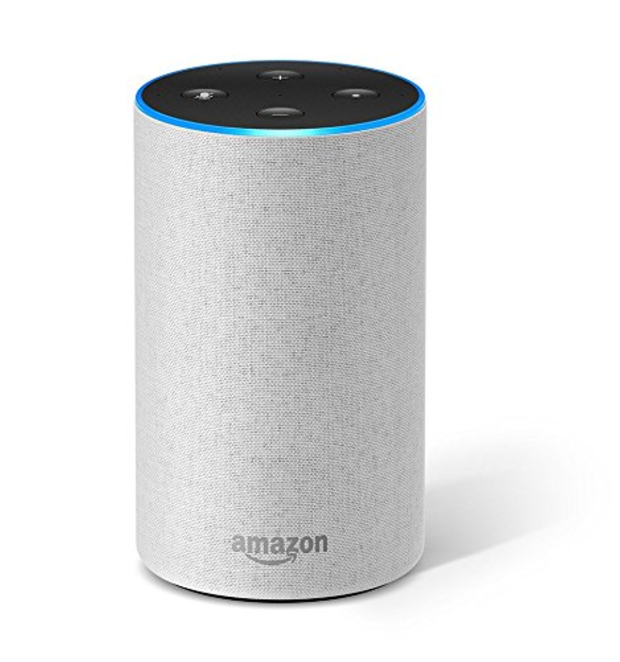 15% off Amazon Echo and Tap - today only!